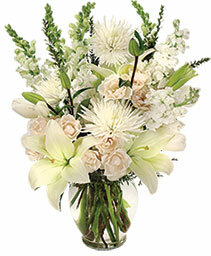 This ivory and white bouquet inspires feelings of purity and peace. 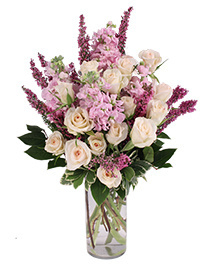 Our Heavenly Aura flower arrangement features crisp white stock, spider mums and snapdragons, as well as fragrant white lilies and blush ivory miniature roses. 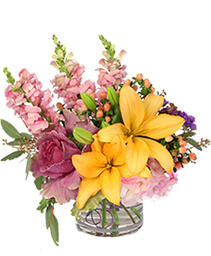 Send fresh flowers designed and delivered by Bayville Florist Inc. Always Something Special. Call us or order flowers from our website. Celebrate beautifully with a special occasion arrangement from Bayville Florist Inc. 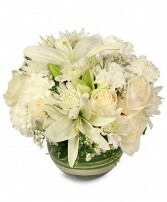 Always Something Special. 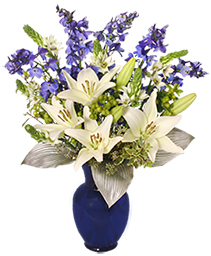 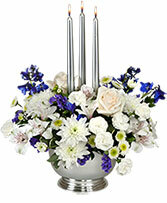 With accents of silver foliage, this bouquet features the purity of white lilies and star of Bethlehem, and tall, graceful stems of brilliant blue delphinium. 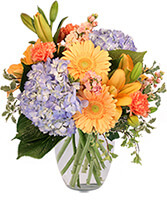 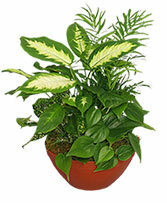 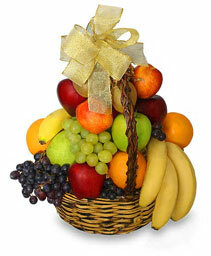 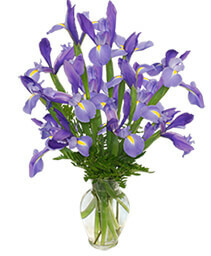 Call us or order Bayville, NJ flowers online now for your special occasion or holiday. 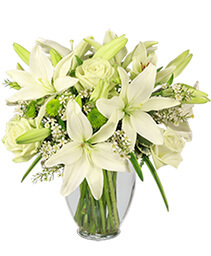 Make ANY Day Festive with a Stylish Floral Arrangement Designed and Delivered by Bayville Florist Inc. Always Something Special. We Can Surprise Someone Special for You! 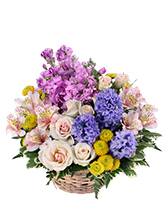 Feel Free to Call Us or Order Flowers Online 24/7.